^ a b Science 19 May 2011 Satoshi Ide, Annemarie Baltay, Gregory C. Beroza. (19 May 2011): Shallow Dynamic Overshoot and Energetic Deep Rupture in the 2011 Mw 9.0 Tohoku-Oki Earthquake Science (Express). ^ 地震：「阪神」の180倍規模…専門家「1千年に1度」 毎日新聞、2011年3月12日。Archived 2011年3月14日, at the Wayback Machine. 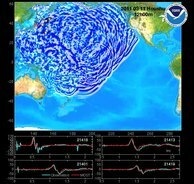 ^ 東日本大震災：太平洋プレート、内部で力の向き変化 大地震発生しやすく 海洋機構観測（毎日新聞 2012年1月31日） Archived 2012年2月1日, at the Wayback Machine. 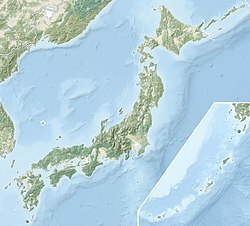 ^ David R. Tappin, et al., Did a submarine landslide contribute to the 2011 Tohoku tsunami, Marine Geology,Vol.357, 2014, 344–361. ^ 中田高, 後藤秀昭, 徳山英一(2015): 「海溝軸まで及んだ東北地方太平洋沖地震の地震断層」は地すべり (PDF) , 日本地球惑星科学連合2015年大会, MIS33-P01. ^ a b c d e f www.msnbc.msn.com . Retrieved on March 11, 2010.